It was cold, it was wet AND it wasn’t on the street! 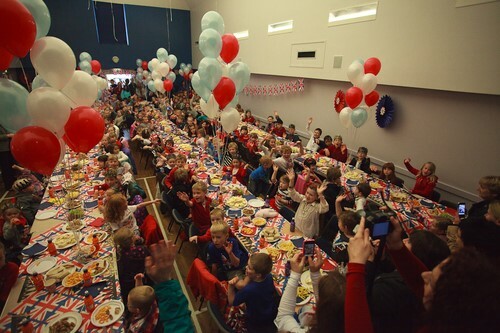 But as you can see it didn’t deter any of the 280 children from having a great time. 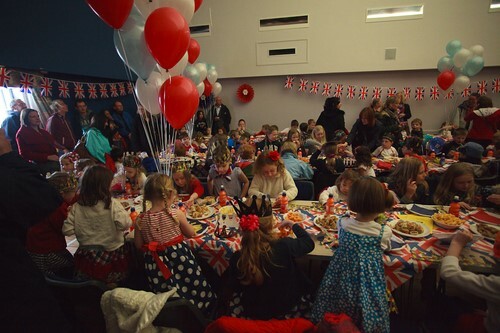 Thank you to Chris Sharples for the photographs. 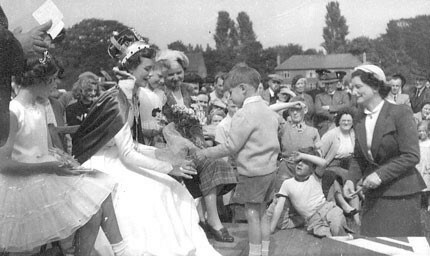 1 June 1953, Acaster Lane: Bishopthorpe’s Carnival Queen accepts a bouquet from a young admirer. 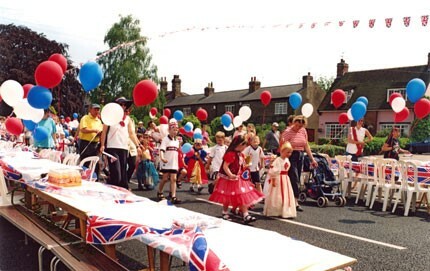 June 2002, Main Street: Fancy dress at the street party to celebrate the Queen’s Golden Jubilee. Photograph: Lisa Thornton. 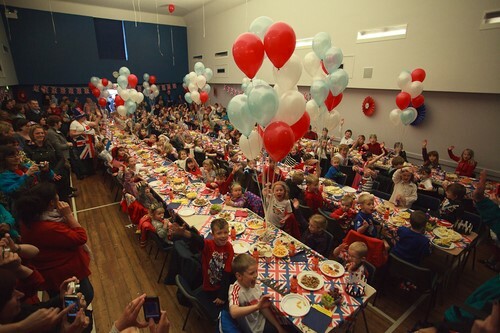 From the Queen’s Coronation in 1953, to her Golden Jubilee ten years ago, the villagers of Bishopthorpe certainly know how to celebrate a royal occasion. Numerous photographs were taken on both occasions and many will be on show at the Bishopthorpe Local History Group’s stand at the Gala in the Palace grounds on 2 June at 12 noon to 4.00 pm. After the Gala, the display will be moved to Bishopthorpe Library until 22 June.